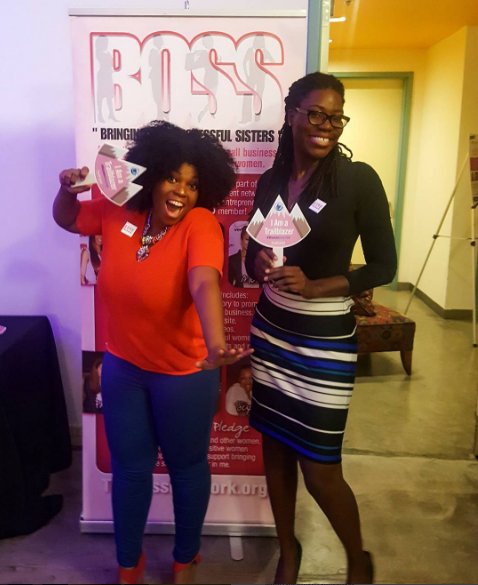 Just a few weeks ago, I attended the Boss Network . I took a lot away from the event as I am continually seeking to evolve as a person and business owner. For those of you who couldn’t’ make it out, I did a recap of the three things I learned at the event. Evolving is part of your purpose. The honest sit-down chat with Michelle Williams really highlighted how important evolving is. Michelle was open and honest about how she too is evolving, learning and changing on a very personal level. While we know her as part of ⅓ of Destiny’s Child, evolved in the singing channels, did some acting and another shift into being in the home/bedding industry. Years ago, Michelle knew she wanted to design and offer items for the home. Instead of launching tons of items for the home at one time, she started with one department – bedding. No one told her how to do this, but she figured it out. She hired the right people she needed, learned and did it. The last piece of advice I learned at the BOSS Network was the acronym EARN It. E(Education) A(Ask) R(Risks), N(Network) . Whatever you do make sure you earn it. Here is the breakdown. Education is vital to whatever you are doing. It is essential in today’s fast-paced world. No matter if it’s a degree, on-line program or an additional certification, always make sure you’re learning in some form. Never stop learning and never stop growing. The a is self-explanatory. We often want things but don’t ask for it. No one is gonna just hand stuff to you – well unless you’re a kid. Risks are a part of life. That is part of evolving; however, be smart about it. Don’t just make decisions just because. Be smart. Networks are critical. It’s not about going to the right networking events or having a million followers. Being authentic and having a great support system and folks within your network that you give and also receiving.